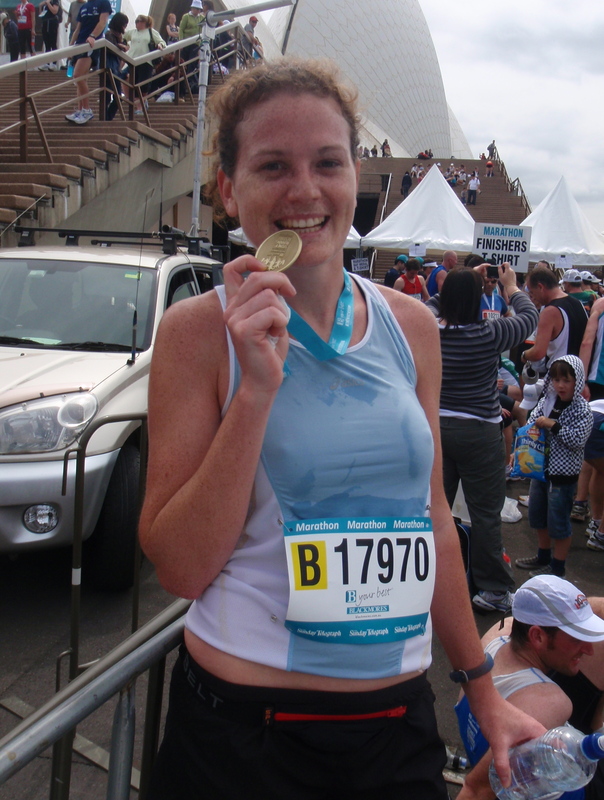 I remember my first marathon as if it was yesterday… In Sydney (Australia), a perfect 18 degrees with intermittent sun… Thousands of determined runners… and I was one of them! I was so proud. An incredible feeling of exhilaration lifted me off the ground, higher and further as I was approaching the finish line. Pure happiness. Marathon training is all about planning and goal setting. Weekly goals set over an extended period of time help to build up your fitness to an adequate level – whatever ‘adequate’ means to you. Likewise, high achievers – which most successful leaders would aim to be – should set goals in all areas of their life. Knowing your big picture, broken down into smaller achievable steps, helps to give the focus and drive required to reach important milestones. Being disciplined means developing habits that help support your desired outcome. Whether that be getting up at 5:30am every morning to go for a run or establishing guidelines within your life and workplace. Discipline also shows itself in the decision making process. Jumping in a cold bath after a 30+ km run on a cool winter day is not a pleasant thing to do. At times leaders need to make tough decisions; ones that might seem contentious or plain unfair. Ultimately, the right decision – not necessarily the popular one – must be made, explained and assumed. It requires discipline – and strong will – to do this. It’s 10 degrees and raining outside… I have a good reason not to step into those runners, don’t I? Actually, I have an even better reason to do so: a record time for my next marathon! There will be tough times, days when everything goes wrong, days when you don’t feel like being a leader but merely a quiet follower. Find your motivation! What drives you out of bed? What makes you want to be at your best and give your best everyday? Your motivation may come from visual reminders on your wall, from talking to a motivated and positive friend or colleague, from a quote or a personal mission statement, or simply from knowing that giving your best means a reward of pride and satisfaction. Gear yourself up with thoughts, habits and tools that motivate you and be ready to brave the rain! That gruelling 42.2 km run will not happen on its own! A slow and steady start is essential to avoid injuries, but once your body has found its rhythm, it’s time to push yourself to increase your distance and intensity. As leaders, we are on a journey of self discovery and self improvement. But this self realisation can only happen if we are willing to challenge ourselves, our beliefs, attitudes and behaviours. We must be willing to take critic on board, listen to differing opinions and get questioned. The rest days and taper period prior to a marathon are essential to help your body recover and prepare you for the next session. Likewise, leaders must recharge their batteries. I recall one speaker saying: ‘You can’t give from an empty bucket’. So true! Just as feeding your body with the right food prior to a big run is important, so is feeding your mind with proper knowledge. Leaders should have an appetite for learning and exposing themselves to thought-provoking and soul-nourishing information. Don’t take me wrong, physical training is essential in completing a marathon, but the mind plays a larger role than you may believe. Thinking positively and expecting to succeed will get you much further both on the race course and in the boardroom. There’s really nothing like a cheerful ‘You go girl! You’re doing really well!’ at the 35km mark to get that fire up again in your belly. Similarly, give your team members the recognition they deserve and the support to develop their talents. Praise them out loud, give them encouragement and motivate and inspire them to greater success. Last but not least, your best performance will be on race day, when you are surrounded by thousands of people whose energy carries you through the distance – and the finish line! – to give you that amazing sense of accomplishment. Our teams make us leaders (as the saying goes ‘a leader with no followers is just taking a walk’). Value each member of your team and the diversity they bring to your ideas and culture. Coach your people, help them become the leaders of tomorrow. Then, and only then, will you truly be a leader! Great article Kim and very true! Good luck with the marathon sorry I can’t be there to cheer you on! PreviousAre you leaving the footprint you want to leave?